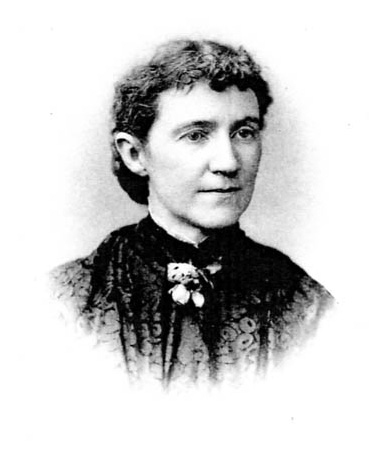 Poet Sarah Louisa Oberholtzer, circa 1882. Flip to The Mill at Anselma, West Pikeland, PA, circa 1900.
Credit: Courtesy of The Mill at Anselma Preservation and Educational Trust, Inc.
Born in 1841 into a Quaker family, Sara Louisa Vickers campaigned throughout her life on issues like slavery, women’s suffrage and childhood education. A correspondent of John Greenleaf Whittier, Henry Wadsworth Longfellow, and other prominent writers, she published five volumes of verse and one novel. After Vickers married Anselma’s miller John Oberholtzer in 1862, the Mill and its surroundings offered inspiration for many of her poems.